Suntech Hand Type Fabric Swatch Sample Cutter is used to cut swatches or samples of textiles with attractive zig-zag edges. 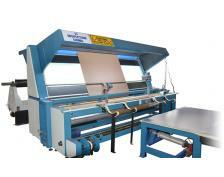 ST-HSCM Hand Type Fabric Swatch Cutter is used to cut swatches or samples of textiles with attractive zig-zag edges. ● For efficient sample cutting.